Microsoft Outlook has been around since the late 1990's, I think the earliest version I ever used was Outlook 97 which came with Office 97. How well it does all of these functions is a matter of opinion! I'm sure we have all had to deal with Outlook in our work life at some point. The last time I seriously used it was nearly 8 years ago and then it was the Windows version! I have the latest version on my Mac, but I've honestly not tried to use it. In the past I've used it to create simple diary inserts! This was before Ray and I got together to do our magic. Looking at the list above it does seem to copy a lot of the functions you might be using your organiser for? I'm not going to try and convert you all in to abandoning your paper organisers.... hell no!! However, I'm sure some people are almost forced in to using Outlook or a similar set up at work, but you still want to use your paper organiser/planner. Can you blend the two together? I watched this recent video by Joshua LaPorte, I know a lot of you follow his videos and they are excellent at exploring how we use our organisers. If you haven't watched his latest video, please take time to do so. After watching this and thinking about how Josh is now blending Outlook with his Van der Spek organiser, it created this image in my head of Outlook being a fast moving Motorway / Freeway / Autoroute / Autobahn (use the appropriate phrase for your country!). With his organiser being the service stations along the route where he stops to collect his thoughts together at regular intervals. 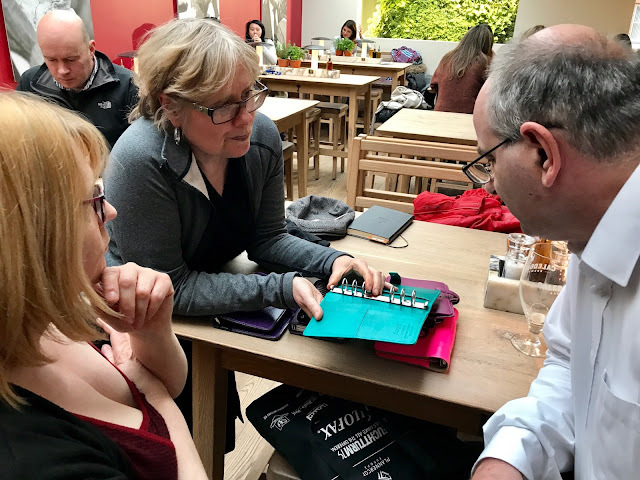 The advantage of this way of using the two systems of course means his colleagues are kept in contact with his schedule and his other tasks and notes can come in and out electronically. 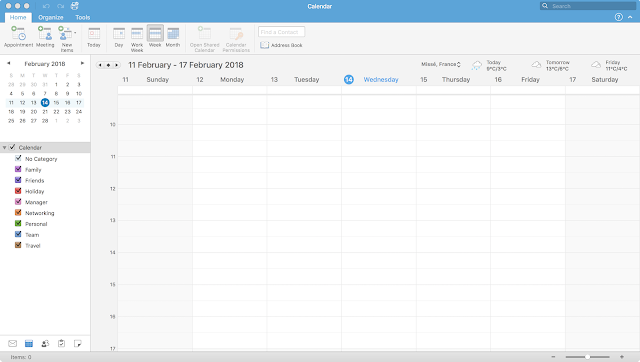 However, Josh sets aside times in his busy schedule to gather together his thoughts, tasks, appointments and brings them together in his paper organiser to keep himself focused. 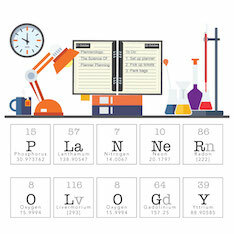 Some of us refer to these times as 'Planner planning', it is something we have mentioned on the podcast several times. Planner Planning is something I do either late on a Sunday evening after I have finished my regular scheduled conference call on a Sunday evening or after I've had my breakfast on a Monday morning. It is then I gather together any outstanding tasks and transfer them forward in to the current week. I also scan through the paper diary and the electronic calendar to make sure they are roughly in sync with each other. It is normally new events on the electronic calendar that I need to make a note of on my paper diary insert and trip planner. Then during the week I add things to my pages as they crop up or as I think of things that need doing. I don't find this way of working too stressful or inconvenient, I feel in control and I'm less likely to overlook something or miss an appointment that way. Interesting timing this, just after yet another crash lost me a section of my Outlook data! I've never used all the different aspects of Outlook. My diary has been on paper for a long time - it's so much quicker to whip out an organiser to make an appointment than to mess about on a computer or smartphone - I only have some appointments that require alarms duplicated in Outlook. My contact data has never found a happy home - they're not in Outlook and will also never be on paper. Until the last computer crash I was using an Outlook plug-in for tasks but have now decided to move those out as well, leaving Outlook just for e-mail. Tasks that repeat on a frequency basis (e.g. every 7 days) are now in a different program. Those that are dated (e.g. first Tuesday of every month) are now in my organiser. Like many people, my organisation setup is an ever evolving thing! 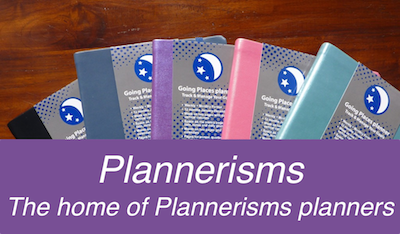 As for planner planning - for some reason I've never felt a need for doing that. Perhaps it's a function of the way my personal and work life are - I never end up drowning in work or events so I can keep on top of them without needing to review stuff on a regular basis. I am with Joshua here all the way. I use a blended / hybrid system and more or less always done so. Nowadays in the corporate world there are few ways NOT to be using Outlook. It is my main agenda and task list manager. I use Michael Linenberger's MYN system to keep me on track and on top of my inbox. And if you are unfamiliar with the system, I encourage you to take a look. It is GTD taken to the next level. Outlook sync to my iPhone and all scheduling is basically done from there. When it comes to actual planning I revert to my VDS and year, month, week and day planning are all in there (I have a year on 3 pages, month on 2 pages, week on 2 days and day on 2 pages - all in use simultaneously). I take information from Outlook and braindumps (which I capture on my WO2P section and from there I plan my next day the evening before). Paper planning makes me stop and think and be very deliberate about my actions. 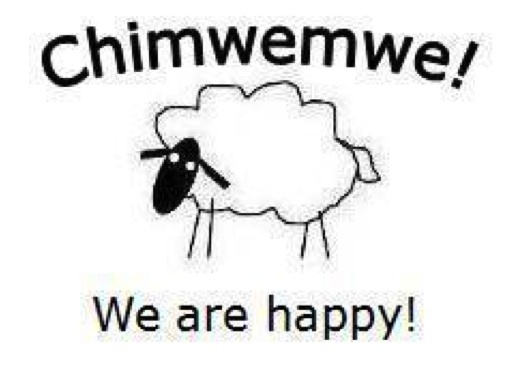 I'm just reading this now. Outlook is one of those programs that attempts to do everything and consequently doesn't do anything especially well, but I definitely find a lot of benefits to using a system that is so commonly used - it makes it so much easier to collaborate and saves time and effort in scheduling. Outlook is also synchronizing to my phone and smart watch so I get a little buzz on my wrist reminding me of upcoming appointments, which has helped me be more reliably punctual. But paper is so, so perfect for helping me zoom in and focus. I make decisions about what I am going to go to, work on, and when those things will happen. I see conflicts and plan for them. At this point, I realy feel like I am leaning on my system to really be a tool, not a hobby. I need my system to be powerful and totally reliable, and at this point it is. I don't really use tasks or notes in Outlook - those are managed primarily on paper. I use contacts only for email addresses. I have phone numbers in my filofax and a more complete set in a gigantic rolodex on my desk in the office. I also keep a notebook next to the phone to serve as a call log. I have been working with my Filofax/ Touch Me and Outlook for many years. I even wrote about this on here some years ago. At the end of each week I transfer all the entries from my FF to Outlook, check the spelling, then print the week off. Each week is bound and I now have printed, bound copies of all appointments, fundraising events, meetings and travel, church services and extra services. I have printed and bound copies for each year back to 2002. Yes it is a duplication of effort but the printed and bound copies are more reliable than years of hand written inserts, particularly with my handwriting.